Well, it’s because it’s not just awesome, but it’s super awesome. 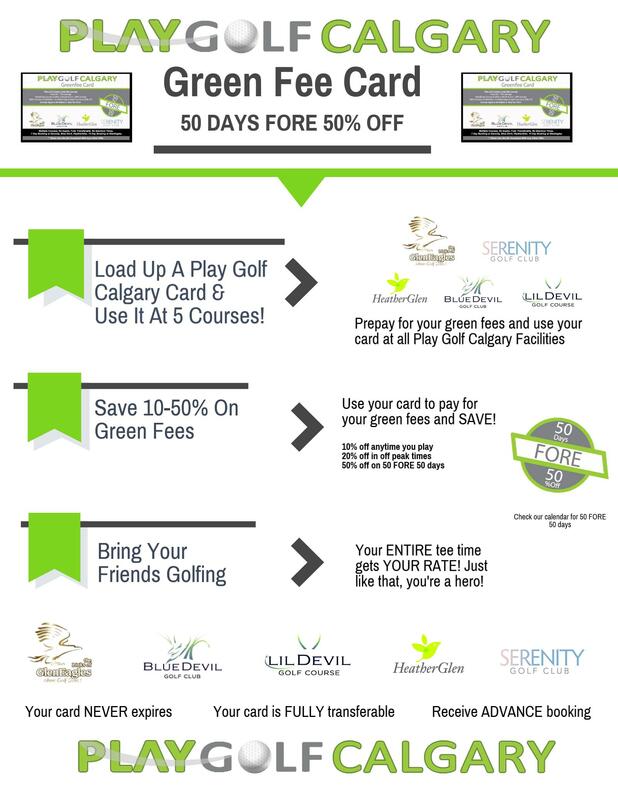 It absolutely is the best way to save on green fees at 4 different Calgary area golf courses. AT WHICHEVER COURSE YOU WANT TO PLAY! and bring your card/use it to pay when you show up for you tee time and voila! Discount! 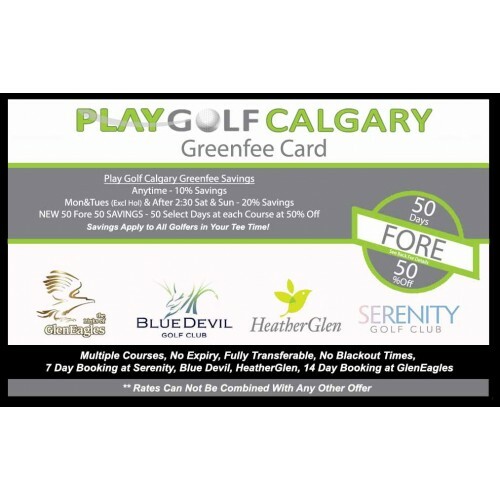 ANYTIME you come golfing and use your card, 20% off during off peak times, and 50% off on our 50 FORE 50 days! Ya, all your tee time friends get the discount because of YOU! BOOM. YOU ARE A HERO, JUST LIKE THAT. “what’s the catch?”, “how much does it cost”, etc. BUT THAT ENTIRE BALANCE GOES TOWARD YOUR GOLF! putting it on a green fee card (that acts like a gift card), and using that entire balance to pay for YOUR GOLF! Soooooo… You’re going to golf anyway, right? You might as well start benefiting from simply paying for the green fees you were already planning on paying for! I have even MORE GOOD NEWS, the balance does not expire! Give them green fees and give them discounts! It's the gift that keeps on giving!! Sound too good to be true? IT'S NOT! Start saving on golf and grab a PGC Card!